Hawaii, Lanai, U.S.A, 2017-Jun-21 — /Travel PR News/ — Alastair McAlpine has been appointed General Manager, Four Seasons Resorts Lanai, Hawaii, encompassing both the 213-room AAA Five Diamond Four Seasons Resort Lanai and Four Seasons Resort Lanai, The Lodge at Koele. As General Manager of Four Seasons Resorts Lanai, McAlpine oversees all day-to-day operations at the luxury beach resort, which reopened in 2016 following a multi-million dollar transformation, and The Lodge at Koele, which is currently closed for renovation until late 2018, when it will reopen as a spa and wellness resort. 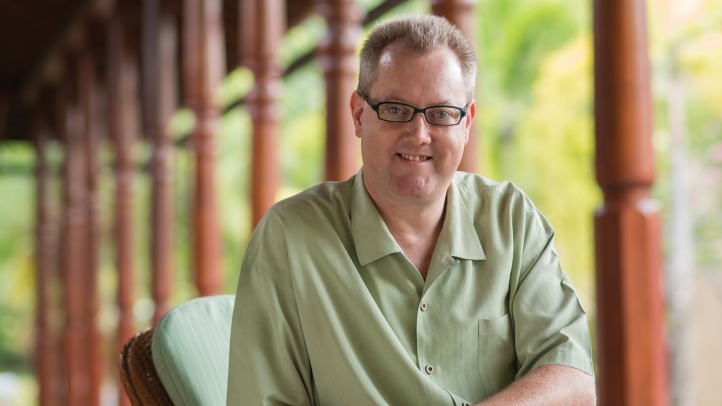 Originally from Northern Ireland, McAlpine, a Four Seasons veteran, returns to Lanai following postings in China’s Hangzhou, Langkawi in Malaysia, the Maldives and Seychelles. He opened the Four Seasons properties in Lanai following a rebrand under the Four Seasons flag, and resided on island from 2005 to 2008. McAlpine graduated in Hotel Management from the Scottish Hotel School at Strathclyde University in 1993. Following a start as a trainee sommelier at Gleneagles Hotel, he began his Four Seasons journey at the former Regent Hong Kong in 1996, first as a Management Trainee and then as Assistant Director of Food and Beverage, and held successive positions in the Maldives, Tokyo, Washington DC and New York. This entry was posted in Business, Hotels, Resorts, Travel, Travel Management, Travelers and tagged Alastair McAlpine, Four Seasons Resorts, General Manager, Hawaii, Lana'i. Bookmark the permalink.